Our careful services for all potential tenants will ensure that you find the most suitable property for your needs. Whether it is a one bedroom flats or a large executive home, in and around Plymouth, we can help you find what you are looking for. 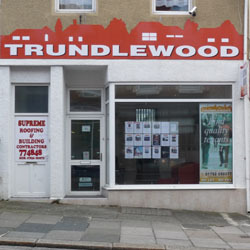 We have a reputation for providing a high level of personal and specialised service to both landlord and tenant, and focus solely on managing residential properties..
Trundlewood property Management’s primary aim is assisting Landlords to obtain the best possible return from their investment, offering a Full Management service, with free rental valuation on your property and free advice on all aspects of letting. We want our Clients to take advantage of the residential property market, free from the worries sometimes associated with renting a property. We are passionate about Property Management and dedicate ourselves to caring for your home.